Books reviewed in Foresight in the past have fallen into two categories: those that serve as textbooks, largely emphasizing forecasting methods, and general-interest books, that offer an overall perspective on the promise and challenges of forecasting.The Business Forecasting Deal (BFD), falls into neither category but rather is a manual for the practicing forecaster. Its subtitle is Exposing Myths, Eliminating Bad Practices, Providing Practical Solutions. The BFD raises many of the fundamental challenges (data, systems, processes, and politics) facing the demand forecaster/planner and manager of the forecasting function. 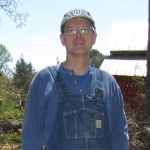 BFD author Michael Gilliland is the subject of our Forecaster in the Field interview. Mike reveals his major disappointments with the practices of forecasting in organizations and explains how these motivated him to write the book. Our feature section presents a hard-hitting look at the Boundaries of Statistical Forecasting. We all know that forecasting is never easy, and the use of quantitative methods (QM) has come up short in so many critical applications. Adam Gordon raises the provocative question of whether the QM approach is inherently doomed. His Boundaries of Quantitative Methods details the formidable modeling challenges that need to be overcome, providing a sobering litany of hurdles. Adam then distinguishes the situations where QM has a fighting chance from those in which it will be better to think outside the statistical box. In commentaries on Adam’s diagnosis, David Orrell warns that In Some Ways the Situation Is Even Worse; however, Geoff Allen takes The View of a Quantitative Forecaster and sees that QM is not nearly hopeless and, in fact, is capable of better performance. Meanwhile, Mark Little asks Compared to What? Mark maintains that the real strength of QM is not in the modeling of the relationships in the data, but rather in the extraction of trends and other patterns from the randomness in the data. In this issue’s Hot New Research column, Paul Goodwin pays tribute to The Holt-Winters Approach to Exponential Smoothing: 50 Years Old and Going Strong. The methods pioneered by Charles Holt and Peter Winters have become a mainstay for demand forecasting and form the core of most forecasting software systems. Paul discusses new research on Holt-Winters that adapts the methodology to cope more effectively with unusual data, multiple seasonal patterns, and the assessment of uncertainty. Proponents of prediction markets often emphasize the promise of this relatively new approach to judgmental forecasting, but without offering much historical backing. In his previous articles and columns for Foresight, Andreas Graefe has attempted to provide a more balanced picture. In this issue he asks, Are Prediction Markets More Accurate than Simple Surveys? The evidence he finds is mixed, but his comparison of success stories and failures improves our understanding of the conditions under which prediction markets can be worthwhile and cost effective. Ira Sohn has previously written articles for Foresight on the processes and limitations of long-term economic, energy, and demographic forecasting. Now he reviews the energy projections for the next 25 years as recently published in the U.S. Annual Energy Outlook 2010. The basis of these forecasts is the National Energy Modeling System (NEMS) of the U.S. Department of Energy. The NEMS projections provide visibility into long-term energy usage, but their special value, Ira notes, lies in the assumptions made about future regulations and the scenarios developed under different assumptions.